Wythenshawe Community Housing Group (WCHG) is delighted to be shortlisted in four categories at the prestigious lnvestors In People Awards (IIP) 2017.Wythenshawe Community Housing Group (WCHG) is delighted to be shortlisted in four categories at the prestigious lnvestors In People Awards (IIP) 2017. 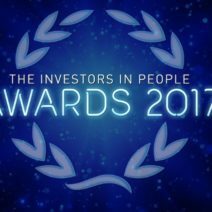 The Awards celebrate the best people management practices amongst Investors in People accredited businesses, and winners will be announced at a spectacular awards ceremony and dinner at Old Billingsgate, London, on 23rd November 2017. WCHG currently accredited as a ‘Gold’ employer, prides itself in meeting the Investors in People Standard and uses it as an ongoing learning framework with its 9 key indicators for an effective people management tool. The accreditation has supported WCHG’s journey of being a competitive successful business with continuous improvement, putting its employees at the heart of everything we do. Investors in People is the leading accreditation for business improvement through people management, and provides a wealth of resources for businesses to innovate, improve and grow, with a focus on good people making great business.